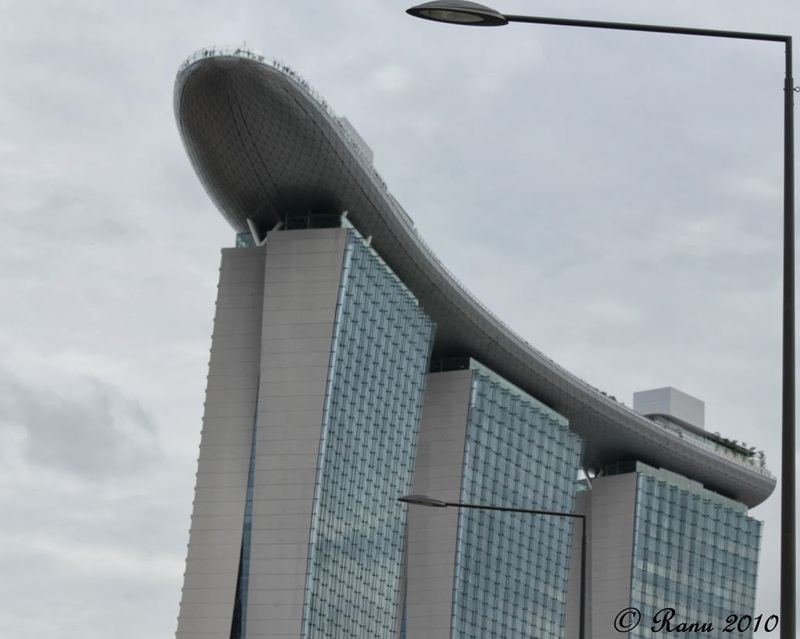 Marina Bay Sands……. 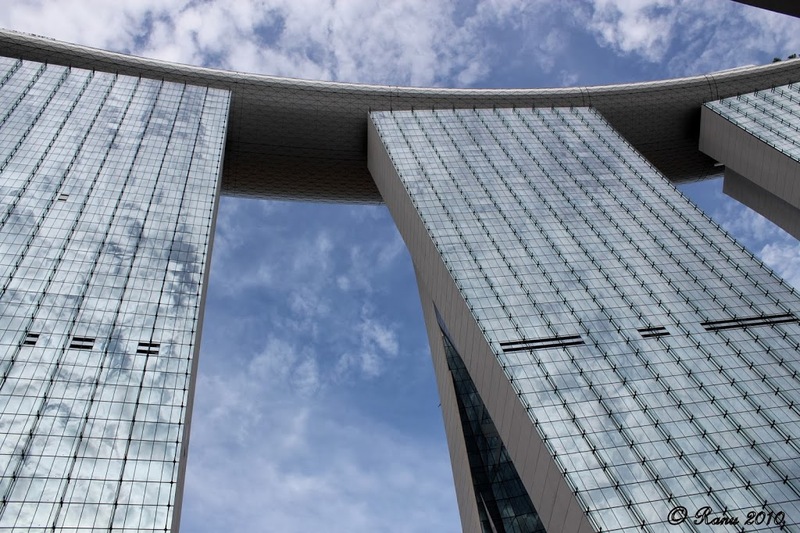 A beautiful building in Singapore. Atop the terrace you can see the whole of Singapore. I was there during sunset just before the independence day parade rehearsals. The view was mind-blowing!!!! These are the three building flanked by one common terrace at the 56th floor. 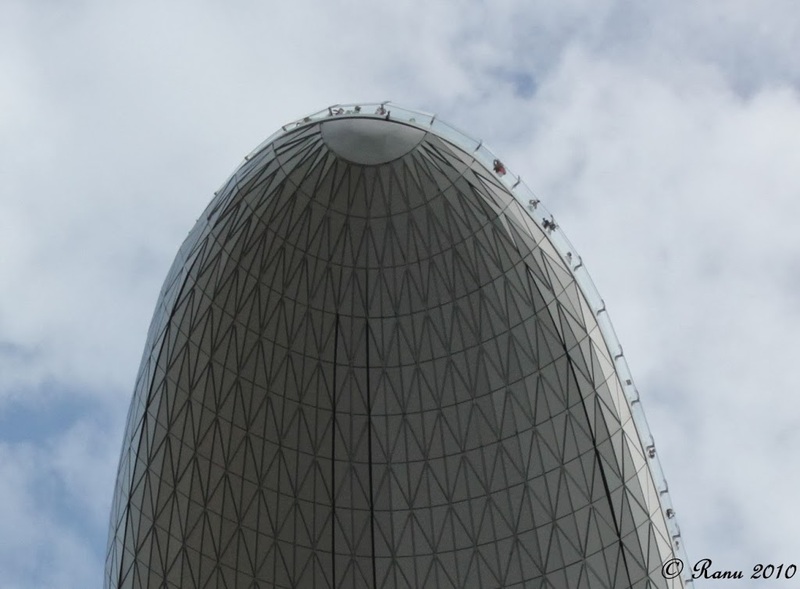 It looks like a ship atop three pillars, which also houses the roof top swimming pool. This is the tip of the roof top terrace. Look closely u can see the balcony railings and some people up there.